In this stylish and modern trend, everybody after making huge investment in their motor bikes thinks of maintaining their pocket and budget. Generally, every motor bike gives an average of 35 to 40 kilometres per litre. Some even maintain an average of 60 km per litre totally depending on the engine and maintenance of the bike. 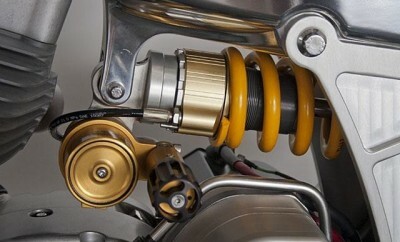 We will discuss in this article about some of result-giving ways to increase mileage of the motor bike. We hope that you will find them useful. Share in your views or comments with us. The following list of fastest bike in the world will like a dream come true for passionate bikers who are obsessed with high speed. Youngsters like driving motor bikes rashly but they don’t know what it costs. Sometimes driving rashly is the only reason behind major accidents. So it should be avoided foremost for your life sake and secondly for the good mileage as accelerating quickly and stopping at last minute causes great heavy consumption of the fuel, which ultimately turns in a heavy fuel charges. As discussed above, excess use of brake or accelerating quickly impacts on mileage. So these both things are easily avoidable in the case when we opting highway. On highways we can fetch a better mileage rather than in hilly or city driving. 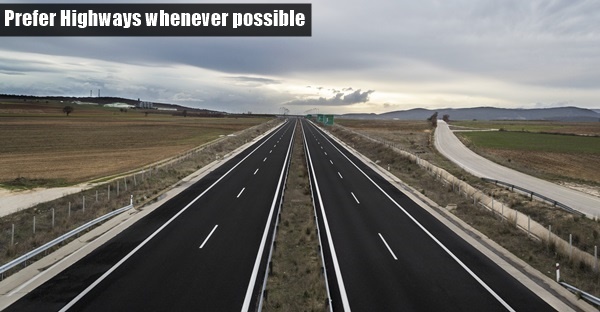 There are maximum chances of avoiding heavy traffic which is really good for maintaining mileage. This is one of the easiest ways to increase mileage of the motor bike. All unnecessary things on your bike is increasing the weight of the bike and directly impacting the average of the fuel efficiency. So the less you add accessories on your bike, the better it is. 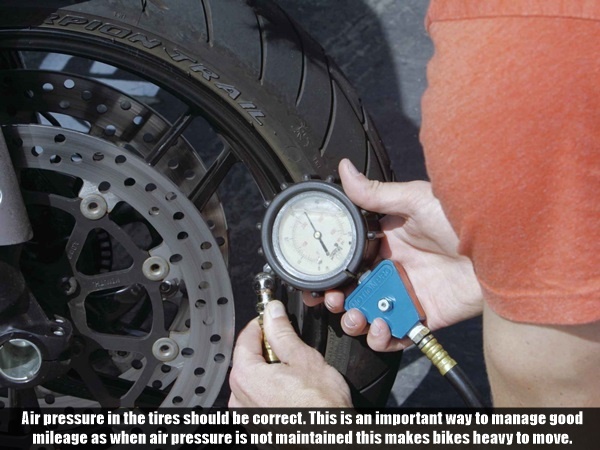 Air pressure in the tires should be correct. 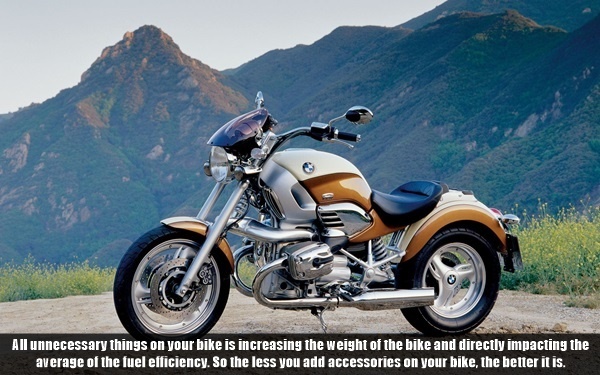 This is an important way to manage good mileage as when air pressure is not maintained this makes bikes heavy to move. Engine needs more power to run and you need to accelerate more to speed up bike. Even, being a normal and simple point this plays a vital role in maintaining mileage. So whenever you plan for long journey or trip, keep focus on air pressure and before you start your journey check the air pressure in tires. If you are planning to change your bike tire then, you must know some best tire brands around the world. Maintaining engine in good state and keeping regular tune up with motor bike engine is another good way to improve mileage. Make sure spark plugs, air filters, service of the bike etc are done on time. These small things on regular basis can increase the longevity of the motor bike and enhance the mileage for the long run. 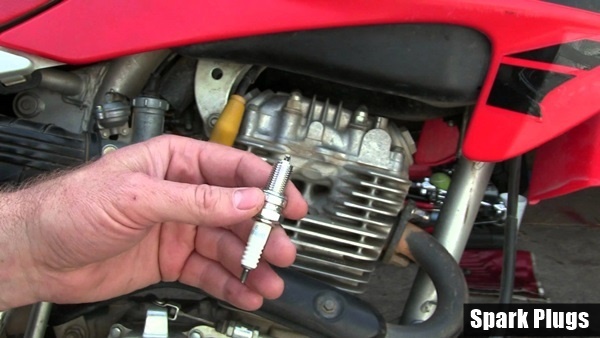 On a regular basis keep spark plugs clean and whenever needed to replace, replace them. Spark plug can be even checked or cleaned by us, as it is very easy to do so. They help in igniting the fire inside the engine. So, the clean spark plugs are efficient way to increase the mileage. 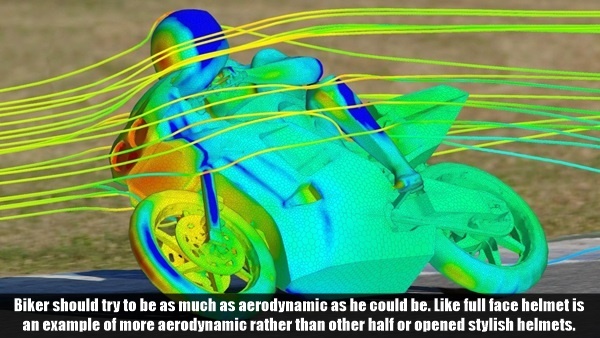 Biker should try to be as much as aerodynamic as he could be. Like full face helmet is an example of more aerodynamic rather than other half or opened stylish helmets. There are many dresses and accessories to help you in this case. Bike racers always wear aerodynamic dresses. It is totally related with the acceleration. The more commonly you apply brakes, the more often you need to accelerate the vehicle. 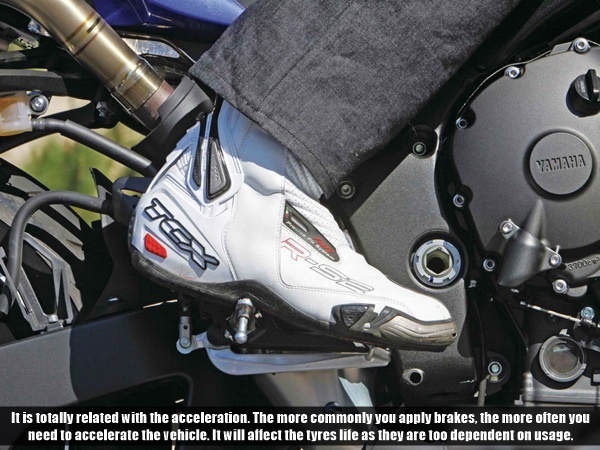 It will affect the tyres life as they are too dependent on usage. 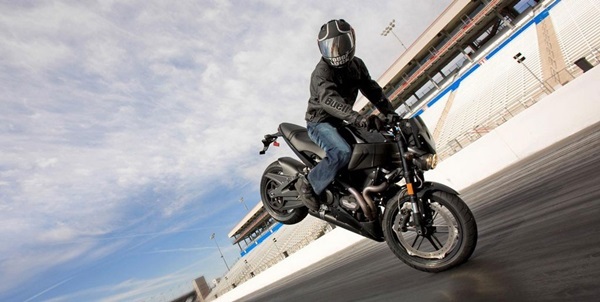 Bikers, who love speed they apply brakes frequently. This way they are not only adding fuel expenses to your pocket but also harming the environment as this will emit more carbohydrates in the atmosphere and other harmful gases. Every rider has a class and to maintain that class bikers wear gloves so you should also know about best motorcycle gloves. 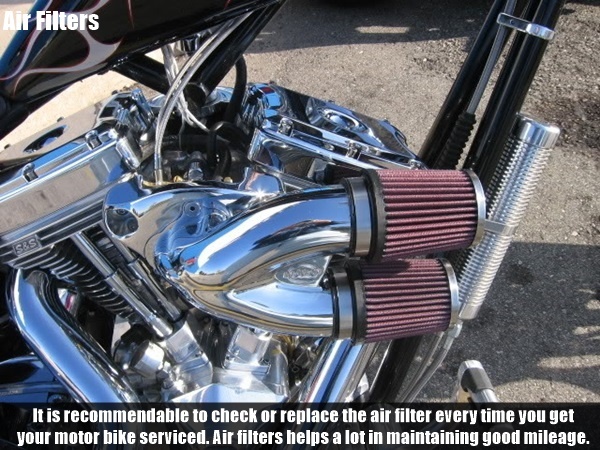 It is recommendable to check or replace the air filter every time you get your motor bike serviced. Air filters helps a lot in maintaining good mileage. 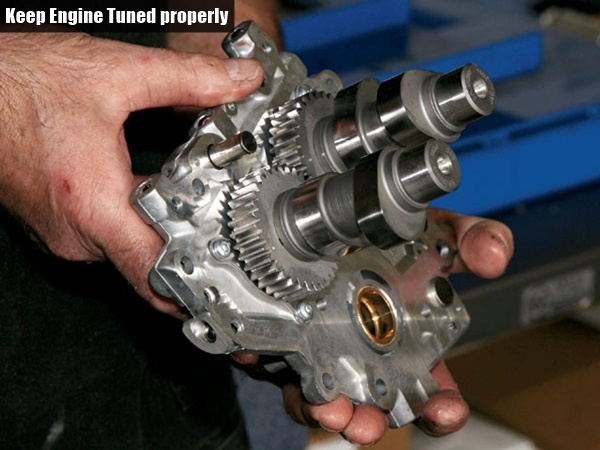 Additionally it keeps engines away from impurities and enhances the life of the engine. Ride your bike at economy speed. Avoid using clutch, use while shifting the gears and use it smoothly. 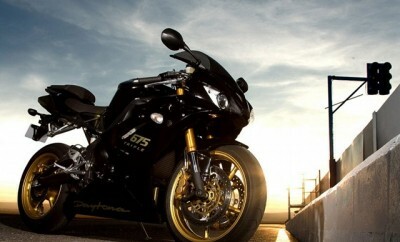 Drive motor bike on top gear. Turn off the engine when bike is in rest. Avoid driving on long distance, when it is on Reserve mode. 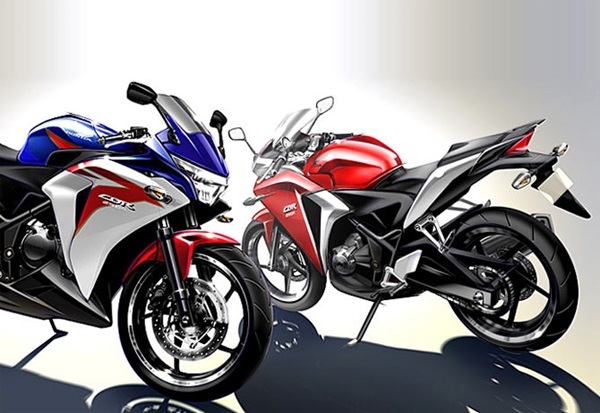 Riding bike on reserve mode will impact on the efficiency of the motor bike. Chain and chain set of the motor bike both should be in healthy condition. Change engine oil on correct time and prefer Castrol or other good companies. Don’t forget to follow traffic rules. 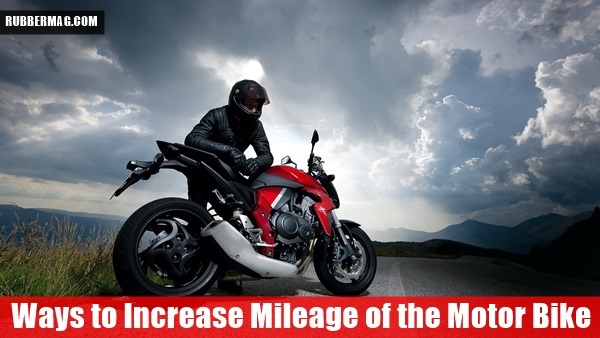 If one is strictly adhering to the above-mentioned points, he or she can surely increase the mileage of motor bike as these are some of the best efficient ways to improve mileage of the motor bike.